Asia Infotech is a reputable Indian firm known for providing custom technical solutions to companies working with the engineering sectors. 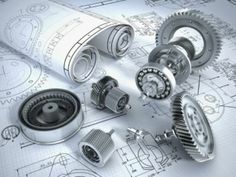 Their extensive line of services also includes mechanical design and drafting that are used by various companies in the product design and development industry. Asia Infotech is currently India’s leading provider of technical solutions for companies functioning in the engineering industries. Their services are used extensively in the engineering sectors as well. Founded originally in 2009, Asia Infotech has already established its name as an industry leader with their superior technical services that help clients in more ways than one. The professionals at Asia Infotech are particularly known for their mechanical design services for which they have time and again been reviewed positively by their clients. Skilled at different aspects of mechanical design and mechanical drafting services, the professionals at Asia Infotech are well aware of the current trends of the industry and can present clients with custom solutions of the highest quality. By making use of a range of licensed software programs, Asia Infotech presents Mechanical Design services that include creating new sketches from the available design data. They can also come up with assembly drawings for different types of architectural schematics, mechanical assemblies and structural designs which they can then transform into highly accurate multilayer CAD drawings. Apart from providing services like mechanical 2D drafting and mechanical 3D modeling, they can also work with a wide range image formats and turn them into multilayer digital formats. It is such specialized services that put the name of Asia Infotech at the top of the technical solutions industry in India. Asia Infotech is a well known provider of custom mechanical design and drafting solutions to companies in all parts of India. In the years that they have been operating, they have helped numerous companies to boost their production values by providing them with top notch services. For this reason, Asia Infotech is currently counted as one of the most important firms of its kind in India.